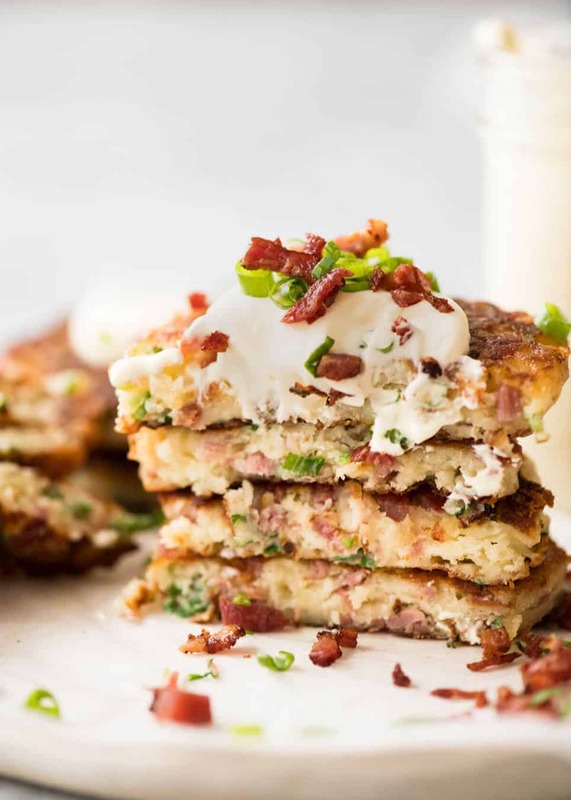 It’s time to experience the awesomeness of leftover Christmas ham with these irresistible Cheese and Ham Pancakes….. Crispy cheesy golden outsides, fluffy insides with pops of ham (or bacon! ), these are outrageously delicious! URGENT, URGENT!!! DID YOU SAVE YOUR HAM BONE???!!!!! I forgot to remind you!😩 In all the kerfuffle* trying to get a Dozer/Nagi Christmas selfie + last minute present shopping not to mention all the last minute changes to the Christmas menu that was decided on the fly on Christmas Eve, resulting in a large part of that day being spent running around from store to store, battling the crowds. Only a food blogging family would do something crazy like that. Normal families would have made do. Instead, in our family, somebody (probably me) screeched “MUM, how can you not have a food processor???!!!” . Then somebody (probably my brother) proceeded to bash away on the internet to find a good one, hunt down a store with it in stock, then we all jumped in the car to race to the store to get it. 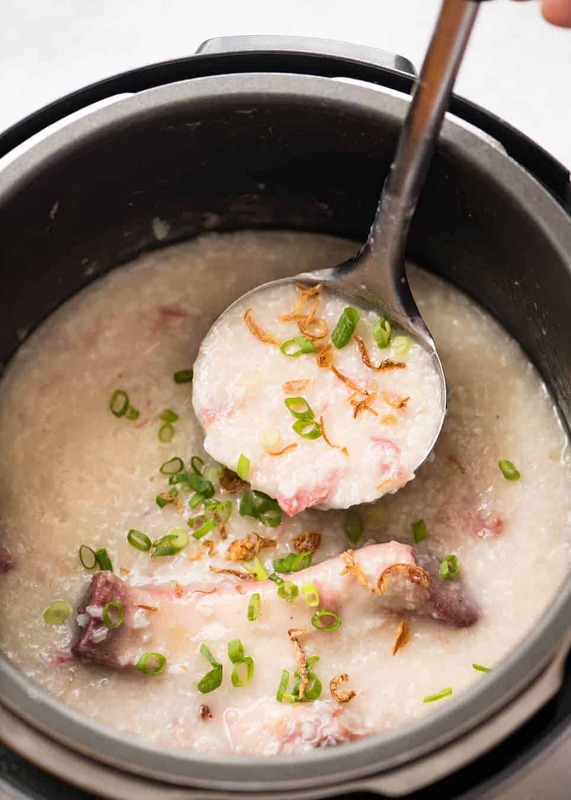 And all this is a long winded way of saying that in the Christmas madness, I forgot to send out a simple reminder to save the ham bone from your Christmas Ham because this year, we’re going to make a Ham Bone Chinese Rice Soup (Congee!!!) which is all of 3 ingredients, takes all of 3 minutes to prepare and tastes so unbelievably good, it made me do the jiggy. Ham bone = most incredible stock ever. Just wait until you try it!!! ** This was an addition by someone sensible who pointed out that we didn’t have much green stuff on the Christmas menu. To which I responded stubbornly “Make what you want, but you can’t use the oven or the stove cause they’re taken!”, so in the end we made this Roasted Cauliflower recipe using the outdoor BBQ. I haven’t filmed the Ham Bone Congee yet, so it will be coming to you sometime next week. I need to get my hands on another leftover ham bone. I have put the feelers out and am expecting a delivery sometime this week, upon which I’ll make the video then publish the recipe. I think the video will be handy so you can see how the rice breaks down and how thick the soup should be. So for now, pop your ham bone in the freezer and let me show you what I’ve made with all that leftover Christmas ham. 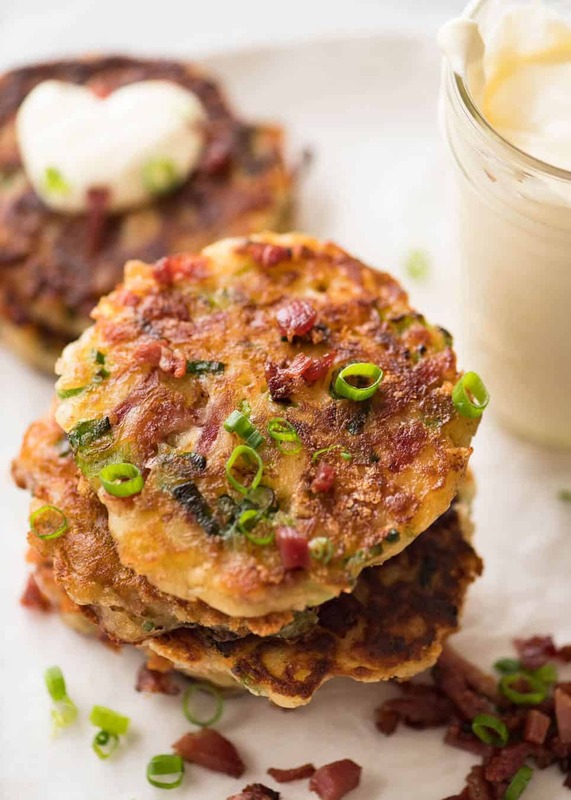 Let me introduce you to your new favourite breakfast: Cheese and Ham Pancakes. 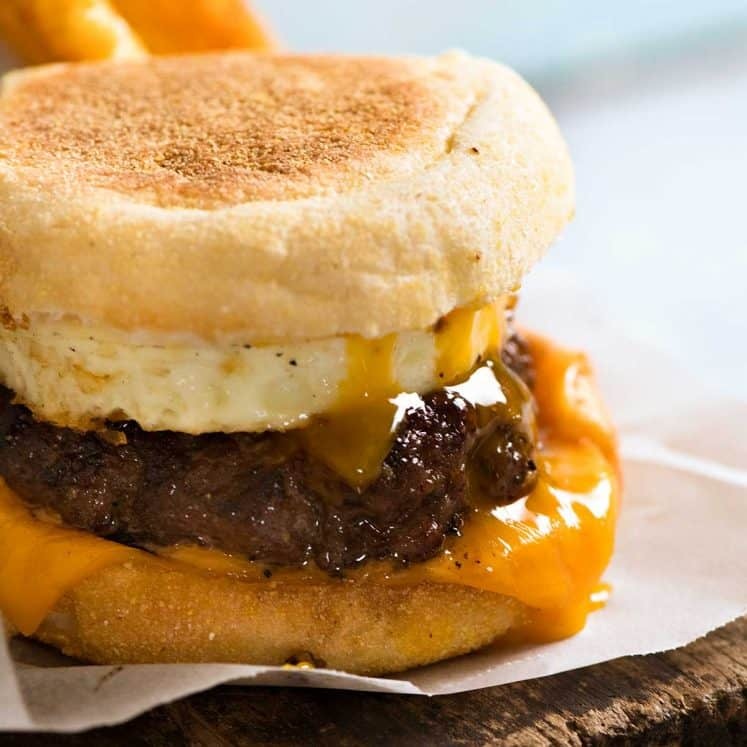 Crispy and cheesy on the outside. Fluffy on the inside with pops of ham and cheesy goodness. 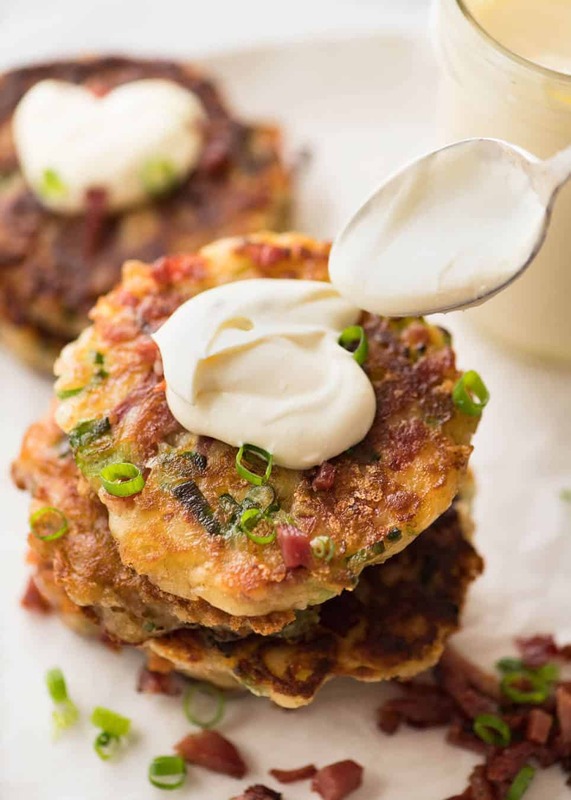 A dollop of sour cream, little sprinkle of green onions and crispy bits of cooked ham. 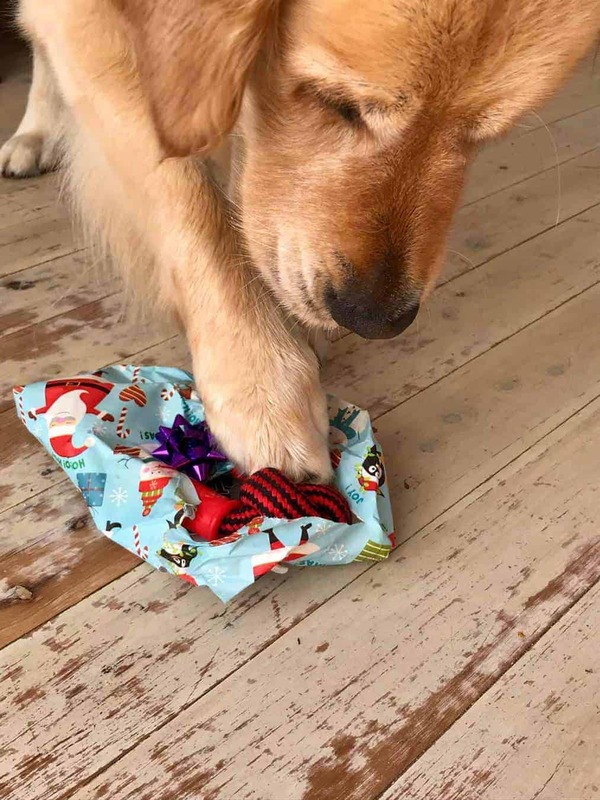 It’s a little Christmas miracle all over again. WHAT A WAY TO TRANSFORM LEFTOVER HAM!!!!! Mind you, there is nothing wrong with a good ole’ ham sandwich. In fact, a leftover Christmas ham sandwich is the best of the best of all sandwiches, in my humble opinion. Though hot on its heels is a cheese and ham jaffle, made using an old school jaffle maker – none of those fancy sandwich presses, thanks! Nope, we use Wonder White sandwich bread, lashings of butter on both sides, pile on the ham and cheese as high as you dare, then use both hands and every muscle in your arms plus body weight to squeeze the clamp shut and let the jaffle maker do its work. 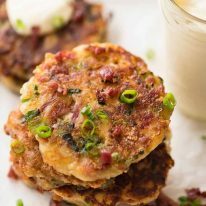 Then once you’re sandwiched out, try these Cheese and Ham Pancakes. And if you’re out of ham, just use regular store bought ham or BACON! 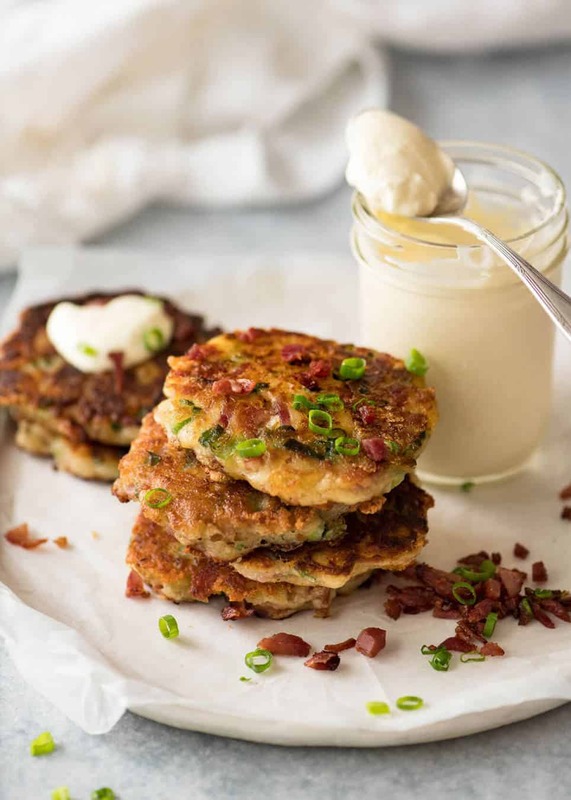 Crispy cheesy outsides, fluffy insides with pops of ham, these pancakes are an outrageously delicious way to use up leftover Christmas Ham though of course you can use store bought or even bacon. 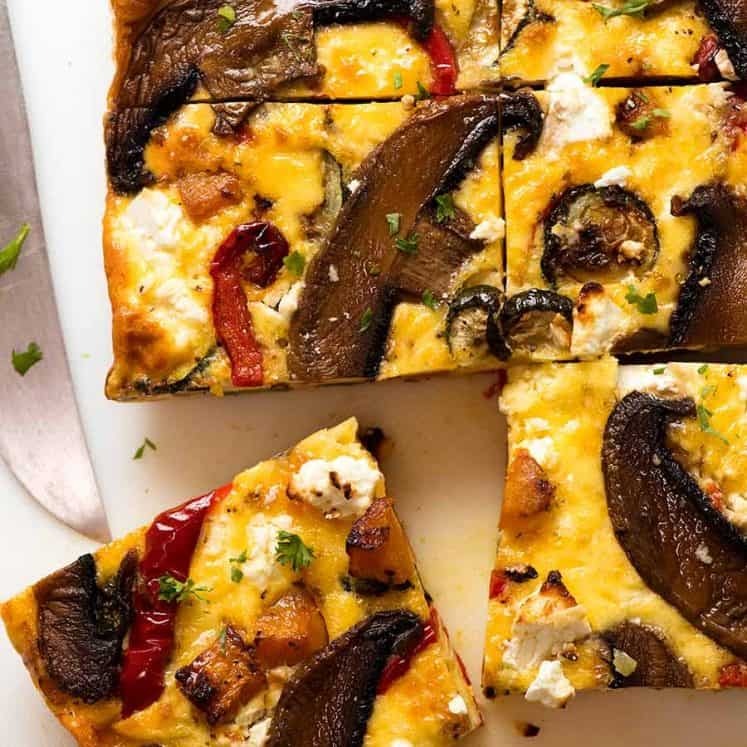 Using this recipe has a base, imagine the possibilities! Grated veggies, leftover cooked chicken, sausages - let your imagination run wild! Recipe VIDEO below, useful to see thickness of batter. Place flour, baking powder, salt and pepper in a bowl. Mix to combine. Make a well in the centre. Add egg and milk. Mix until flour is incorporated - small lumps is fine (see video / photo in post). Add cheese, ham and shallots. Stir through - it should have a soft dropping consistency. Heat a non stick pan over medium high heat (or medium if your stove is strong). If using extra ham for toppings: cook it in just 1 tsp butter until golden, then remove onto paper towels to drain. For the pancakes: Add about 2 tsp butter, swirl to melt. Place 1/4 cup batter in the pan (Note 4), then roughly spread into a 7cm / 3" circle. Repeat to fill the pan (I do 3 in a small pan, 4 in a large). Cook for 2 minutes until the underside is deep golden. Don't wait for bubbles like normal pancakes, they won't appear. Flip and cook the other side for 1 1/2 minutes. Remove onto a rack. Add a bit of extra butter and repeat with remaining batter. 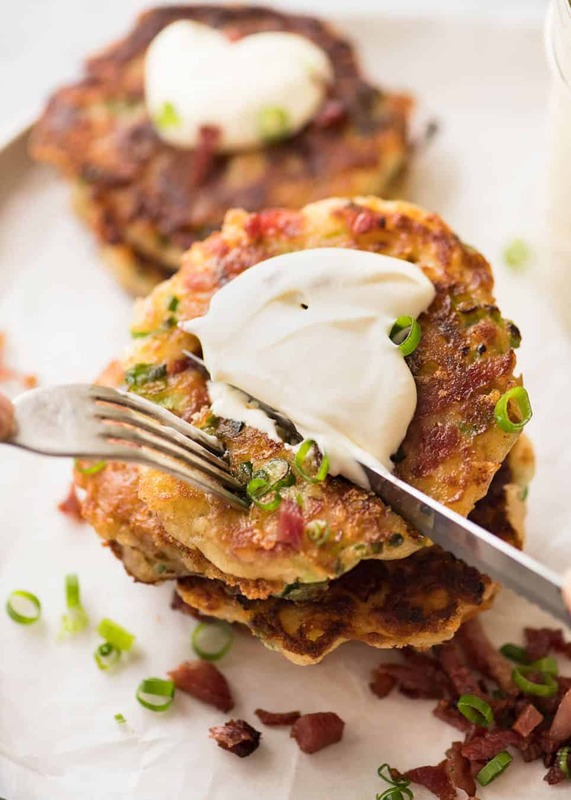 Serve with dollops of sour cream (virtually mandatory! ), sprinkled with extra cooked ham and shallots, if desired. 1. I use low fat, any type is fine, even non dairy. I realise it's odd to have such a specific quantity of milk but this is the amount I find is required to make the batter thin enough to easily spread into rounds, but thick enough to cook through properly. If the batter is to thin for a thick pancake like these are, then the inside of the middle often does not cook through properly. 2. Use any other grated, flavoured melting cheese you want, such as Tasty (an Australian cheese), Monterey Jack, Gruyere (ooh, fancy pants! ), swiss, colby. Don't use parmesan, it's too strong (or if you want to, reduce to 3/4 cup) and if you use mozzarella, add 1/2 tsp salt into the batter. 3. I used leftover Christmas ham, but can use any ham you want. If you use bacon, use around 300g / 10 oz bacon, chop it then cook until light golden. Drain on paper towels then use per recipe. 5. Servings and nutrition: Makes 13 pancakes about 8.5 cm / 3.5" wide and 1.5cm/ 3/5" thick. 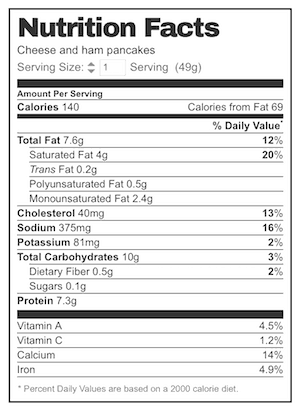 Nutrition is per pancake, excluding toppings. 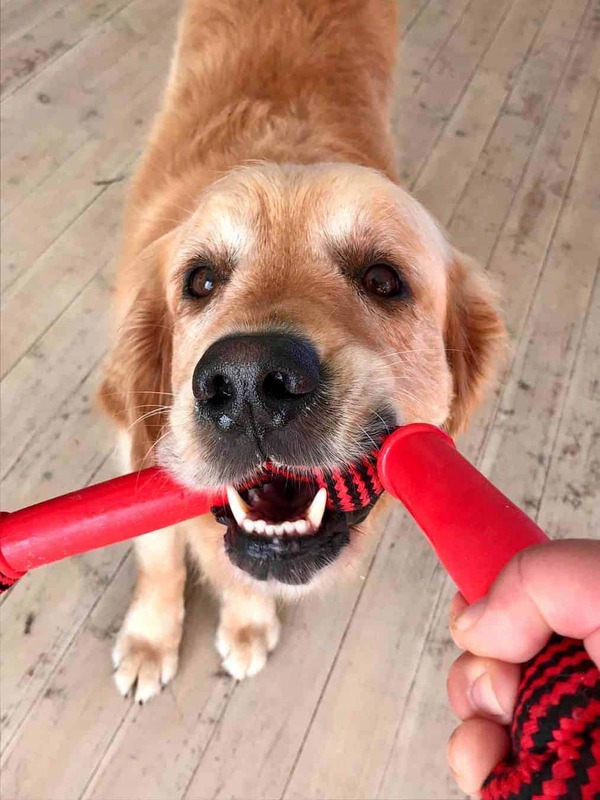 Tearing into a Christmas present to reveal his new (current) favourite toy. Made these yesterday; doubled the recipe thinking I’d have leftovers. My family of 5 demolished them. Winner! Making again tomorrow! Hi Nagi, I’m thinking of trying this out but i only have powdered parmesan cheese. Do you think this will work as a substitute? These have very quickly become a family favourite. I make batches of them and freeze them so I’ve always got something I can quickly rustle up for unexpected visitors! I’ve made them with chorizo too which is delicious. Thanks again for yet another gorgeous recipe. Capital D for Delicious! My 9-year old gave it a thumbs up and would like to see them in his lunch box! Thank you for this recipe. I made these for a quick dinner and they were delicious. I was surprised at how MANY pancakes this recipe made!!! I had some for breakfast the next day as well. So easy and a great way to use the leftover ham!!! Made these for supper the other night. Once made, I realised that there were far too many for just the two of us…and then they had all gone! Absolute winner, Nagi. More power to your elbow! Nagi….oooh….simply divine, and easy to make, thank you! I used gluten free flour so added extra 30ml milk and they are perfect. Also substituted cold meats for the ham. These are …um WERE delicious, all gone now. Thought I would freeze some for a quick dinner one night with a salad, but they didn’t last longer than 3 days in the fridge, just had the last 3 for an afternoon snack. I mixed sour cream with a chilli and lime jam that I had recently made ( so sick of the price and the ‘not quite right’ taste of all the store bought savoury jams), was totally yum, I do like my hit of heat 🙂 I did change the name so I could find it in my recipe app, I have always called this type of food Fritters, as long as I can find it again for the next time. Sorry my comment just went without email address. Delicious recipe as always and this one is really economical. You can never underestimate the value of leftover food until you transform it. Great post. Those are the most delicious pancakes ever ! Awesome recipe.As,so many of yours are. 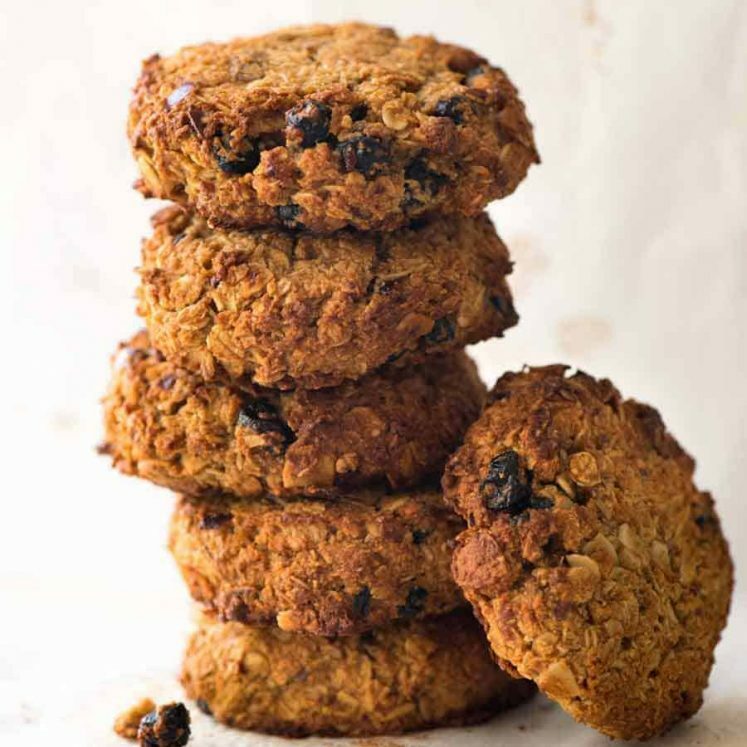 Just made these – they are sensational! Cheesy, hammy and the shallots just add the final touch. Definitely a keeper for Christmas leftovers. 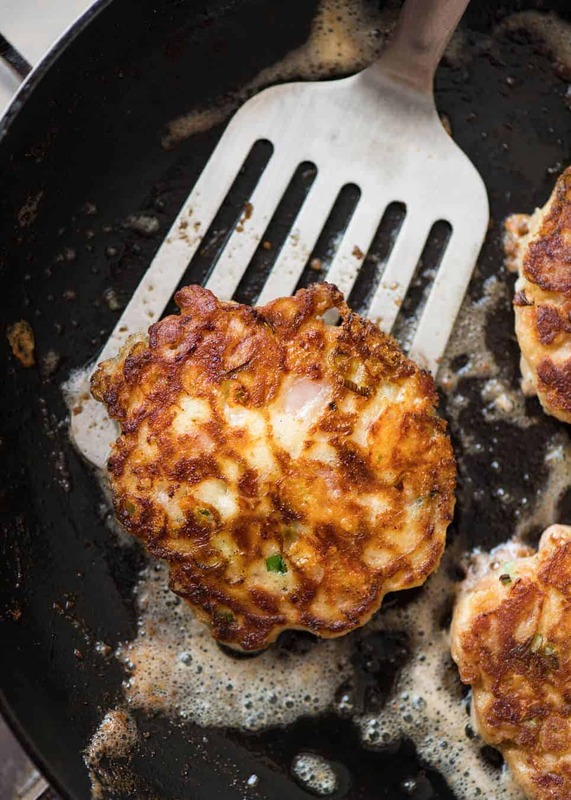 I’m going to call them cheesey ham fritters. Just made these, and am shoving them in my face right now. These are amazing! I didn’t have shallots, so just made it without, and they are still out of this world. Simple recipe, with ingredients I already had. My family loves them. Can the batter be be made a head of time, if so long? Happy New Year Nagi and many thanks for the delicious j and cheese pancakes.